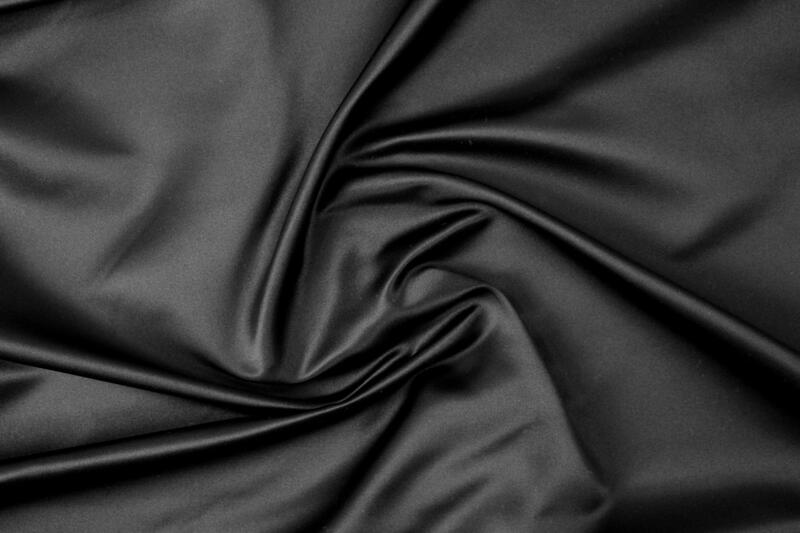 From a NY designer, I was able to get this AMAZING quality, 100% silk duchess satin in jet black, at an excellent price! 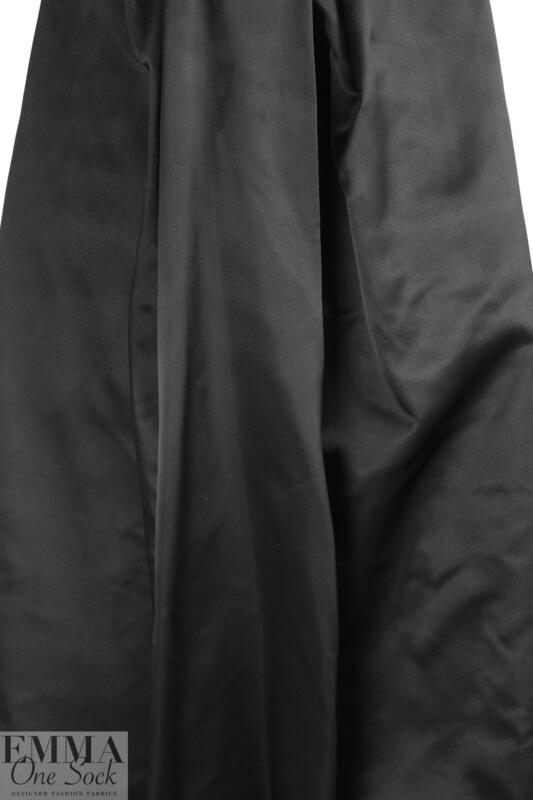 It is very substantial, very wide, and has a firm yet supple drape, holding its shape beautifully. 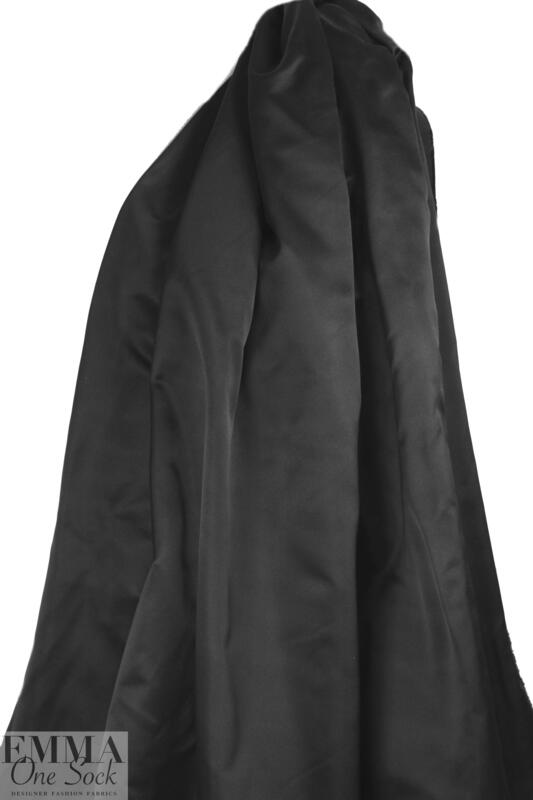 A favorite for bridal and formal wear! Dry cleaning recommended.